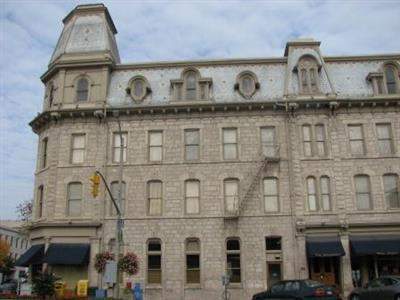 Designated heritage building in the heart of downtown Guelph. Head office of Williams & McDaniel Property Management. Excellent downtown location, great access to public transportation and parking. Located at the centre of Guelph at the corner of Wyndham and McDonnell. Close to retail, offices, city hall, court house and financial institutions. Excellent for public transportation – city bus, Greyhound bus station, train station and taxi company.